Child of Hope makes huge social impact for slum children and their families from its school in Eastern Uganda – by providing free education, healthcare, welfare, food and clothing to kids from the poorest and most vulnerable families. Our work takes place in the Namatala slum near Mbale, where we have built our nursery/primary school. Survivors from years of strife in the north struggle to make ends meet. Up to 30,000 people live there, around half of which are school age. But poverty prevents most of them going to school. 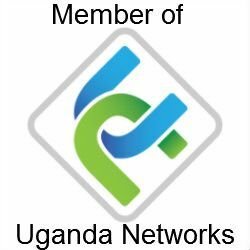 COH Outreach Uganda is a registered Non-Governmental Organisation (NGO) in Uganda (reg no. S-5914/7717) and employs more than 70 staff. There are three arms to Child of Hope: the nursery school, the primary school and the family support team. All of these programmes are supported and served by the administrative and site management departments. Each section has a manager to oversee it, usually with a deputy manager. The executive director, assisted by the strategy and programmes advisors and supported by the operations and finance managers, oversees the organisation as a whole. The primary and nursery schools, founded and owned by Child of Hope Outreach Uganda, are legally obliged to be governed by their own management committees and are overseen by a board of directors. In the UK a team supports the Ugandan operation through UK-registered charity Child of Hope (England and Wales reg no.1136068). That team consists of seven trustees, two part-time paid roles of director and administrator, a part-time fundraiser who applies for grants, and a handful of volunteers.